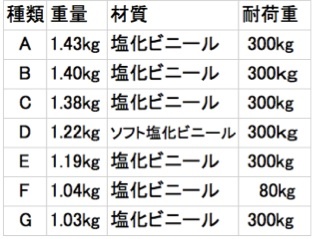 The purpose of this study was to obtain basic knowledge which was necessary for the coaching on the exercise using a Large-sized ball through the following two tasks. 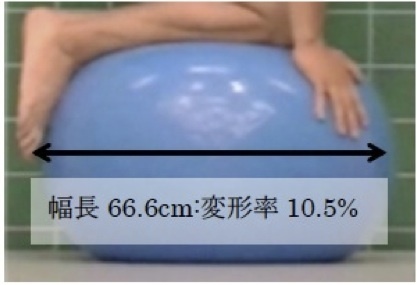 1) The deformation of each a Large-sized ball was measured and compared when an adult man performed static and dynamic exercise tasks on 7 kinds of a Large-sized balls. 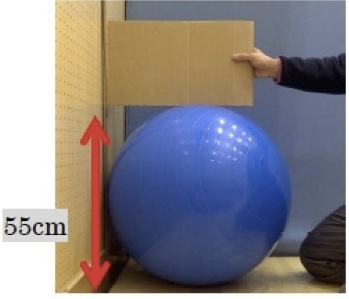 2) By using the characteristic a Large-sized balls that exhibited the largest and the smallest deformation, 10 adults performed the same exercise tasks on them; their inner reflection was compared. 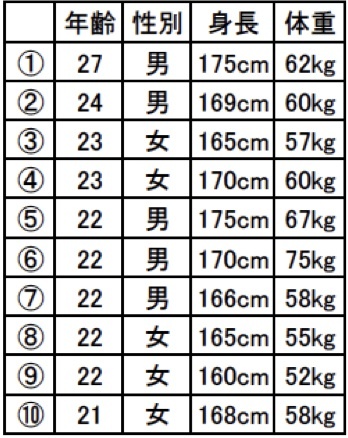 The result of the investigation was as follows. 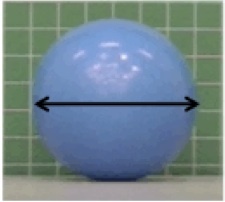 The deformation rate of each a Large-sized ball when static-weight exercise tasks were performed on it was different according to its kind. 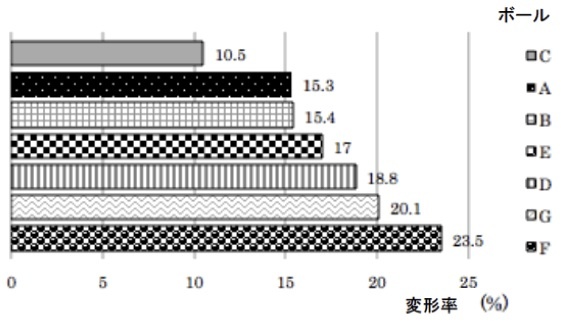 The smallest deformation rate was 10.5% and the largest deformation rate was 23.5%. 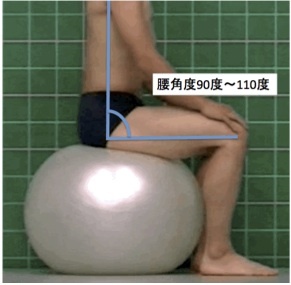 In the case of the a Large-sized ball that exhibited the largest deformation rate, the part which touched the body of the performer sank and the position of the center of gravity of the performer was low, which tended to make it easier to perform the task. 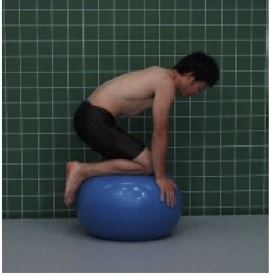 On the other hand, the deformation rate of each a Large-sized ball when dynamic-weight exercise tasks were performed on it was also different according to its kind. 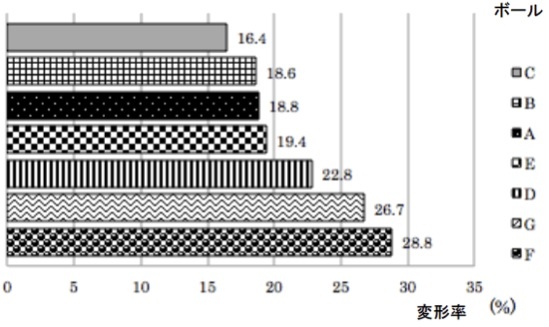 The smallest deformation rate was 16.4% and the largest deformation rate was 28.8%. 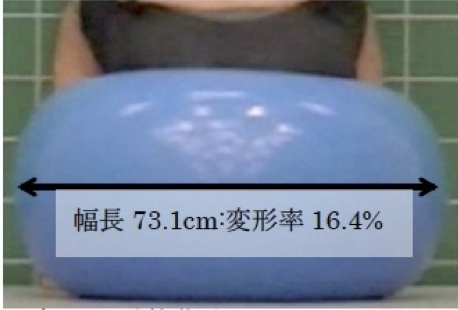 70% of the subjects (7 persons) replied that they could perform the tasks "comfortably" on the a Large-sized ball which exhibited the smallest deformation rate, which showed the tendency that the material characteristics of elasticity of the ball could be utilized preferably.